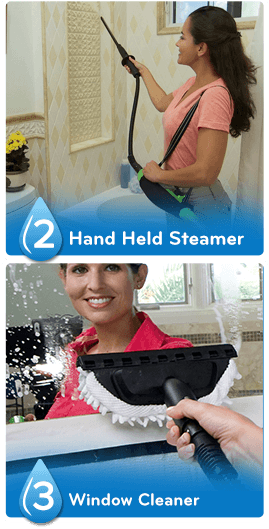 Whatever the surface, the H2O X5 ™Lite will steam it up to clean it up! 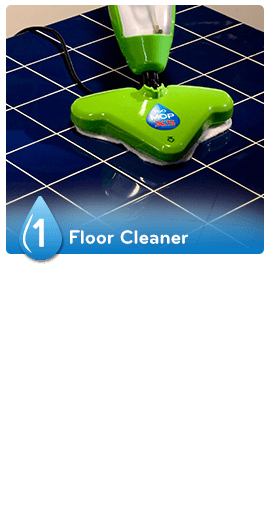 For any firm floor, the H2O X5 ™ Lite with steam at a temperature of 100 ° loosens and removes dirt. 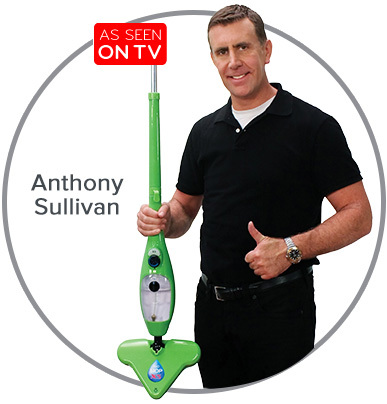 On the same pass, the super absorbent micro fiber accessory lifts dirt and holds it - and so sweeps, mops and polishes your floor at the same time! 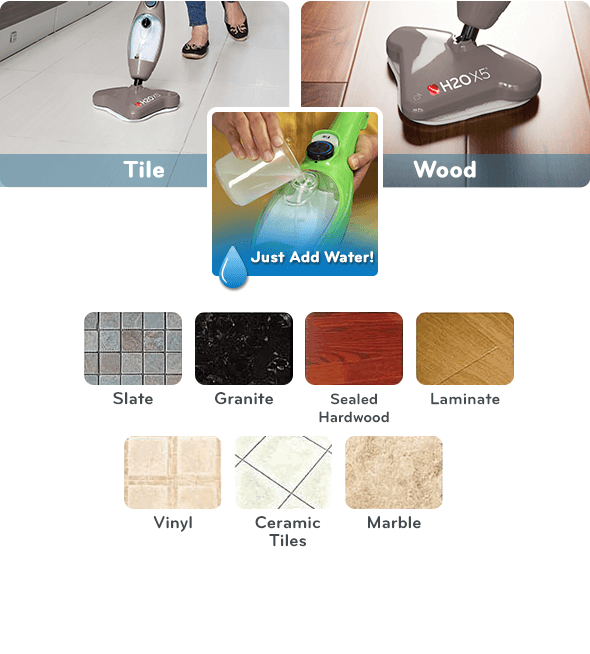 It works on any type of floor! 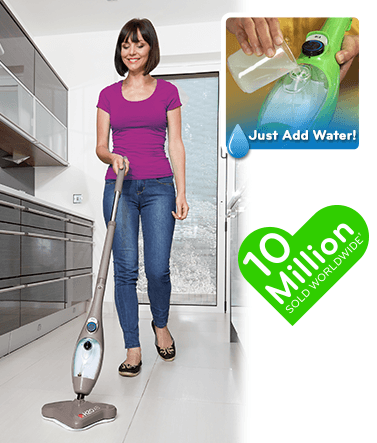 For a shiny varnished wood floor without scratches. 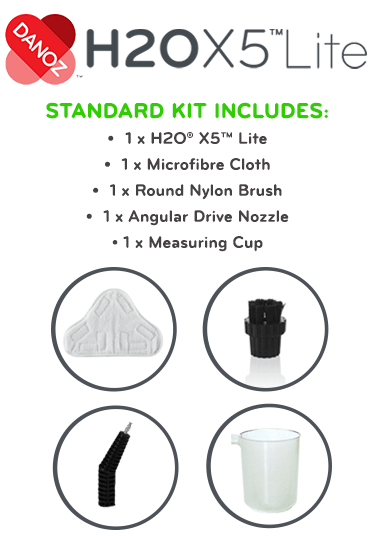 Use the vaporizer on tile, cement, ceramic and much more! 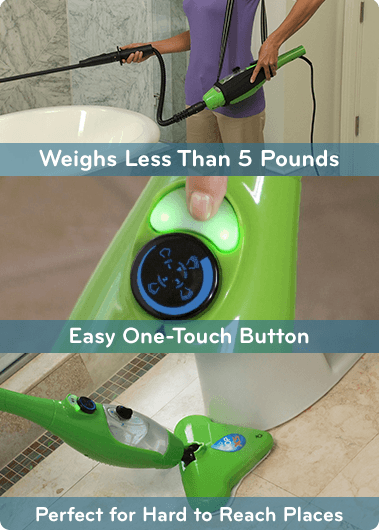 It cleans even hard-to-reach places. 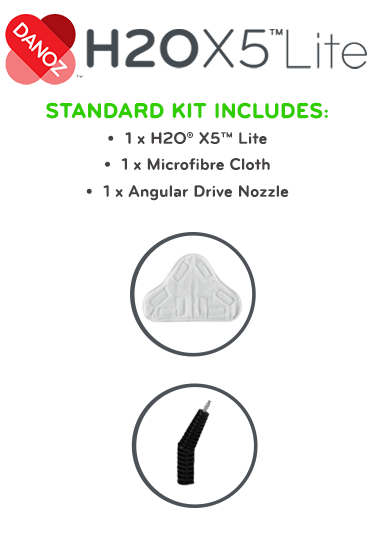 It comes with the drive nozzle! 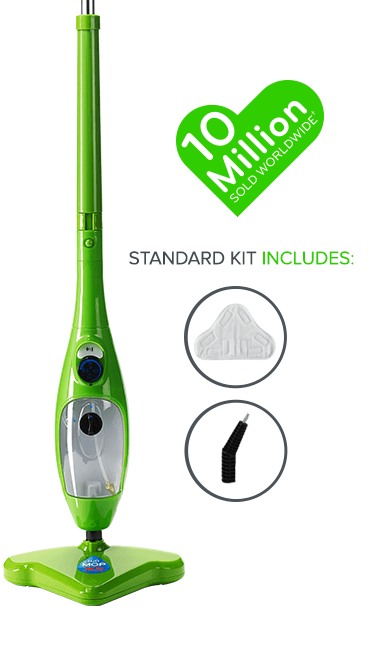 Offer Details: H2O X5™ Lite Green color for a single payment of $119.85 or 3 x $39.95 + $14.95 p&h. The H2O X5™ Lite and associated logos and variations are trademarks or registered trademarks in the US. and / or in other countries, of Thane International, Inc. and / or its affiliates.